Due to our continued expansion we've moved to larger premises at Ferry Lane Industrial Estate on Lamson Road in Rainham. Please contact us either using the number above or via the contact form. 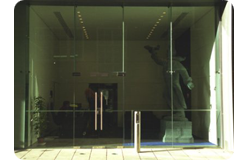 Rainham Architectural Fabrications specialise in the manufacture, installation and glazing of commercial doors, windows and fixed frames. We have been doing this successfully for the past 20 years. 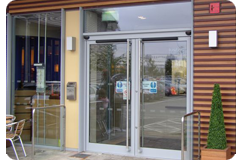 Our doors are fitted with anti finger trap door stiles, security locks or panic exit bars, they can be powder coated in any colour and are manufactured using the Essex Council specification. 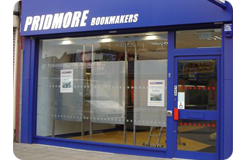 The main part of our customer base is builders, glaziers and construction companies. 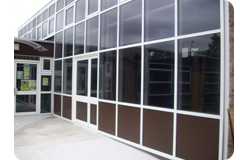 Over the last 5 years we have been approached direct from schools looking to cut out the building and glass companies. We are approved contractors for Havering, Barking & Dagenham, Richmond, Redbridge and Greenwich councils.